I never thought "I made a tie" would be part of my vocabulary. or if your husband really liked John Deere. I once saw a man with a John Deere (tractors) tie at church. His wife made it. It was super sweet. Wanted to try making a tie and I saw this claim on Pinterest. "Best Men's Tie Pattern" or something like that. Well, I can testify that it is the Best Men's Tie Pattern. Puking Pastilles, right Harry Potter fans?? Who thinks of making ties for their loved one?? That's kind of crazy right? I made it out of cotton fabric. Lightweight interfacing. And Kona cotton for the lining. Just print them out on your computer and tape together. Easy, easy. Not scary. Great instructions. Look at my little tabs. How cute. You do need to have some hand sewing skills for the back. But just follow my little tutorial here for invisible stitching. mine does!! My husband wears a lot of ties. He has worn the blue one so many times. The orange plaid is for my son for his birthday. I overheard him telling his dad what a cool tie he had. *I love that I can use my rotary cutter to cut the whole thing out. Straight lines all the way. *In order to do that, however, you need to use flat head pins. *Pattern calls for 5/8 yard for tie fabric and the same for lining. That is cutting it WAY too close for me. you can actually get 2 ties for every 3/4 yard of fabric. Not that you need 2 ties of the same fabric, but you just have more fabric leftover for DOLLIES!! *Finally, I found it best to cut out the lining and the main fabric at the same time. In fact, I've even cut out 4 layers at a time, 2 linings, 2 main fabrics. My next Pinterest attempt was from the Sweet category. These truffles look so good. And Our Best Bites has never let me down. EXCEPT, I made them with almond bark which tasted super fake-y and yucky to me. I didn't love the cookie dough either. All cookie truffles were downed. So not a failure and saved me many calories. I'd really like to try these next with good chocolate to dip in. Let's all buy one for our walls. Harry and Luke is probably my favorite category!! Such a fun post...I will have to look up that tie pattern...I made one once before and it was a nightmare...it turned out okay but the pattern instructions were terrible...it was for my daughter's prom date...and I made it from the left over fabric from her dress. Anyway...Best Bites has never let me down either...and I love the last photo too! Oh! So that's what those flat pins are for! Ya learn something new everyday! ;-). Love those gorgeous ties - you rock! They look great! Keep going, there are 3 'men' in my family. We'll take your duplicates. How fun! I used to make ties back in the late 60's for my husband (who at the time was my boyfriend). It was so easy and so much fun. Thanks for testing this pattern for us. I'll have to try it soon! ha ha ha! such a catchy tune. your ties are too cute. I've made ties for hubby and DS. They love wearing their ties. Yours looks awesome! Great prints. This is too funny, Tie making.. not in my vocab either. 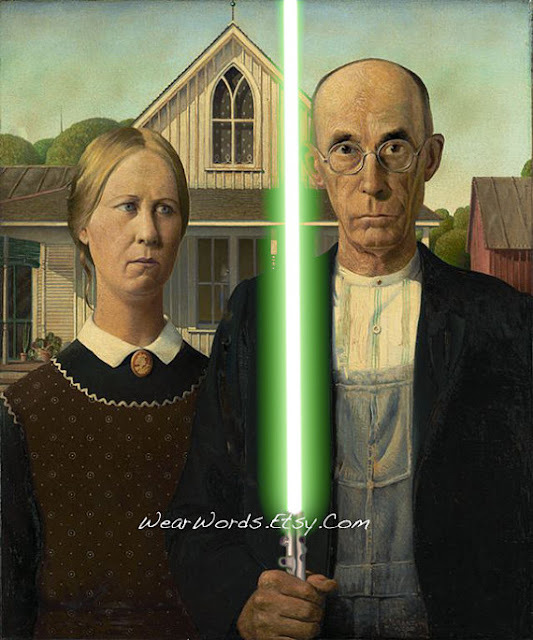 The funny thing too, is I bought a Star Wars saber today for my gandson Dex today.... Its been fun blogging with you today also. And I need that pin cushion.. My next project. I need pincushions, mine is never where I put it. I love the ties. When I was in high school and college, back in the late '60's and early '70's, I made ties and ties and ties for my dad and brother - mostly Dad. He enjoyed wearing his unique ties to work. I had many requests and didn't make them for others. They were only willing to pay the cost of the fabric - they had no idea of the quality of his ties. It was so much fun. I would even embroider my brothers initals on his long sleeve shirts for him. Then I moved away from home and Dad retired due to illness and my brother was married, so.. Thanks for the great pattern and helping me remember wonderful memories of my dad - I wish I had some of his ties for a quilt. When I was a teenager I made and sold ties for $3.00 each. Yikes! Such a deal! Many many years ago my sister and I took a tie making class was lots of fun. We have made lots of ties, one year for Christmas I made ties using the same fabric for my family (me Dh son and daughter) for our family photo they were dark blue with snowmen. 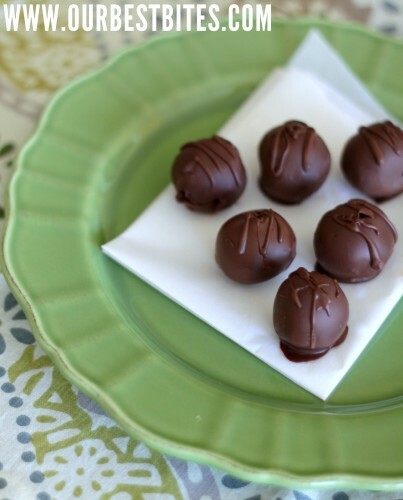 You will love the peanut butter balls I have been making them for over 30yrs, my recipe is a bit different it has some coconut if you would like a copy email me and I will send it for you to try. Thanks for refreshing my memories. I've made this tie pattern, too and love it. I made my father in law the awesomest tie ever with sugar skulls.